Search engine optimization or SEO is the process of increasing the number of visitors to your website so it is among the first sites seen on a search engine like Google. There are a number of tools used to ensure that your website is among the most popular on a specific search or even on the first page. In order to be one of the first websites that come up, using relevant information from a trustworthy source is crucial. With your website comes media platform management. Your usual Facebook, Twitter, Google +, and occasionally Instagram usually consists of owned content. Unfortunately, that is not always enough. While owned content that adverts back to your site is a key way to increase foot traffic, outbound links can attract new visitors. Outbound links can be informative and important as they allow your company to share useful knowledge from credible sources. When you find a quality source, the next step is to make sure it relates to your business. Using outbound links can also give useful insight on the newest findings, technologies, and resources of your company’s field. 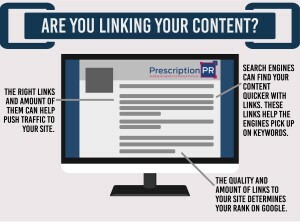 Outbound links will boost your SEO ranks and keep you at the top of the list. Useful links from credible sources such as news outlets like The New York Times, Forbes, or government organizations such as the Centers for Disease Control and Prevention can allow viewers to see the latest news, findings and technologies. 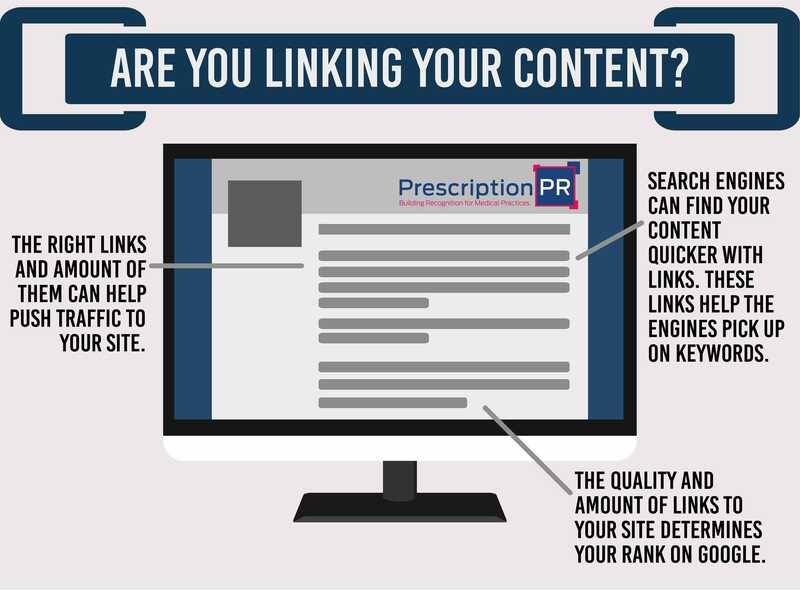 More importantly, link-building helps search engine’s like Google understand your’s site position within similar articles and potentially favor it.